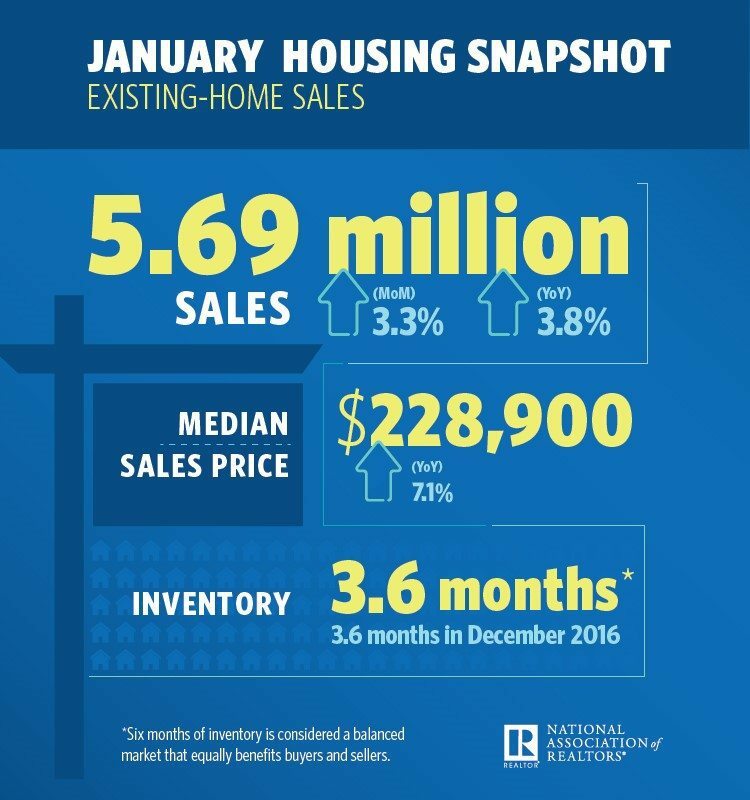 Total existing-home sales expanded 3.3 percent to a seasonally adjusted annual rate of 5.69 million in January from an upwardly revised 5.51 million in December 2016. This is 3.8 percent higher than a year ago (5.48 million). January also surpasses November 2016 (5.60 million) as the strongest month since February 2007 (5.79 million). Mortgage applications decreased 2.0 percent from one week earlier for the week ending February 17, 2017. 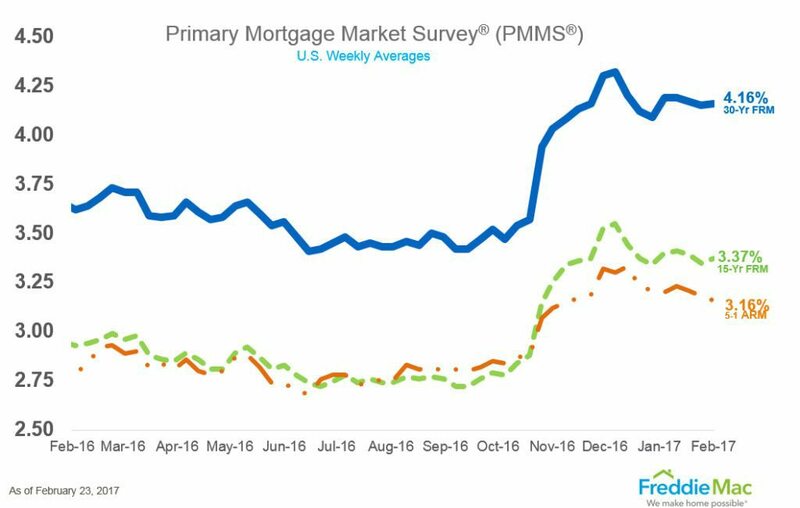 The refinance share of mortgage activity decreased to 46.2 percent of total applications, the lowest level since November 2008, from 46.9 percent the previous week. The average contract interest rate for 30-year fixed-rate mortgages with conforming loan balance increased to 4.36 percent from 4.32 percent. Home prices were up 7.2 percent in December 2016. The cash sales share in October 2016 was 31.8 percent. The distressed sales share in October 2016 was 7.7 percent.